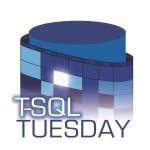 T-SQL Tuesday #12 – Why are DBA skills necessary? One of the few persons I admire for their skills is Paul Randal, who’s the host of the 12th T-SQL Tuesday. T-SQL Tuesday is about blogging about the same topic, inevitably from different angles as we people are different. It’s fun for reading, I hope it’s fun for writing as well – this is my first time participating. Given my current state of mind, this is going to be a rambling, rather than an article. Up to SQL 2005, the sysadmin role contains the local Adminstrators group by default (and by design), under the name BUILTIN\Administrators. This bothered some folks as it wasn’t secure enough for them, so the SQL 2008 asks you during the install who should be the member of the sysadmin role, no automatic membership granted to local admins. This is a pretty well-known feature. However, it it lesser known that if you start the SQL Server in a single user, minimal mode (sqlservr -m -c started from the directory of the program directory, you can see it at the installed service), the local admins become sysadmins, independently of their normal privileges. This can be a failsafe solution, for example in an over-hardened environment where someone accidentally lost the password of the renamed and disabled sa account, which was the only sysadmin. You can reset passwords, add new sysadmins or whatever you want. Many people faced the upleasant message below while trying to connect to SQL Server with SQL authentication: “Login failed for user ‘(null)’. Reason: Not associated with a trusted SQL Server connection” The most typical reason for this is that the server is configured to allow only Windows logins, not SQL logins. The cure is pretty simple, open up server properties and change the authentication option from Windows only to SQL and Windows – and there you go. So what the heck does this mean? I asked my old pal Google, who said he read about it once, and people say it’s nothing else than network logon failure. So I decided to check the local security policy. And I found that in the User Rights Assignment node the Access this computer from the network privilege was granted only the local Administrators group. At that point I banged my head into the wall why I hadn’t found the pattern sooner and also extended this privilege to the users group as well. After a policy refresh, it worked. Lookink back, it was pretty simple. As the peons users were not authorized to access the computer via the network, the OS tore and dropped their token so the SQL Server didn’t get anything from their identity. Once again I learnt something new. (The where spid <> blocked clause was needed because from SQL 2000 SP4, the “self-blocking” is also listed as a blocking but it wasn’t interesting in this case.) I expected to spot one of our report writers running a bloated query with massive joins ans sophisticated filters but it wasn’t the case. I found nothing. I had a suspicion that if I restarted the server, this phenomenon would disappear but as the server was still in a usable state, I decided to dig deeper cause I hate mysteries unresolved. I started to check the distribution agent history in Replication Monitor but the only thing I found was that the agents were very slow. I checked them in the Activity Monitor and noticed that they were spending lot of time in RESOURCE_SEMAPHORE wait state. I checked the excellent white paper about SQL Server wait types, and saw that it usually means that due to high concurrent load, the query should wait for memory grant. So I checked the memory usage a bit.